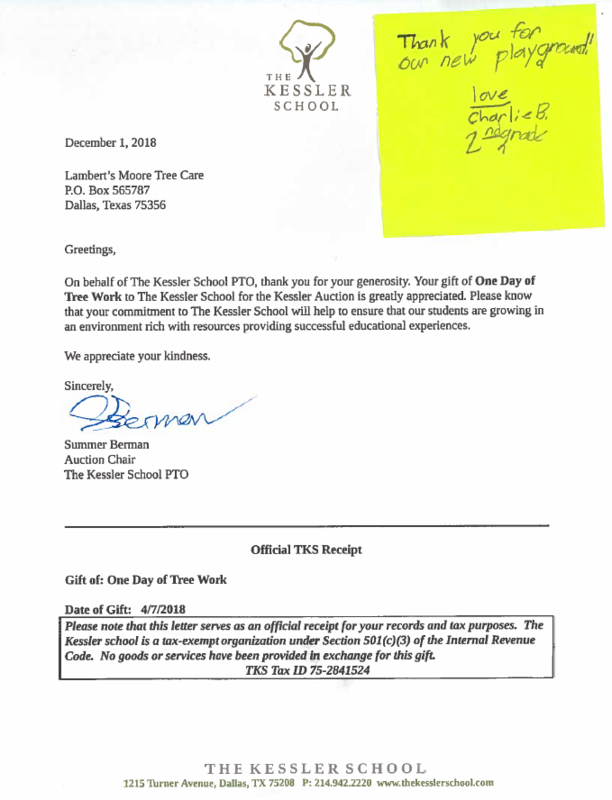 On December 1st Lambert’s | Moore Tree Care, received a letter from The Kessler School regarding our donation of time, along with a post it note from Charlie in the 2nd grade. This warms our hearts, and makes us thankful for our clients who choose Lambert’s | Moore Tree Care. What a great way to end 2018. The 2018 Recipient of the TNLA Region IV Selby Award goes to our own Jodi Joseph! Pictured above is (on the left) Jodi Joseph – Lambert’s Vice President of Production Operations, with (on the right) Alan Richmond – TNLA Region IV Chairman. 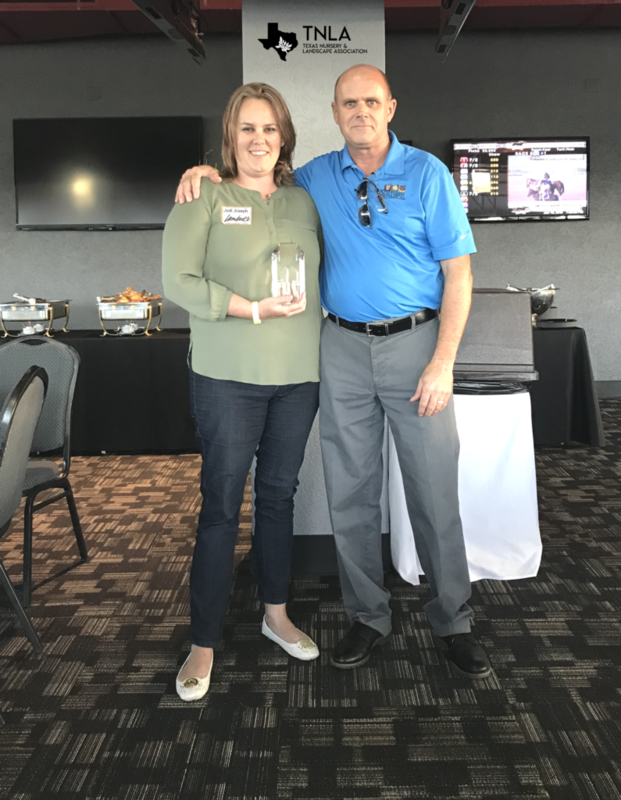 On June 15th our very own VP of Production Operations, Jodi Joseph was awarded the prestigious Texas Nursery and Landscape Association (TNLA) Selby Award. This award is extremely special because it comes from her peers. The Selby award is a professional award that recognizes “dedication to our industry and service to our organization” and praises “the example you set for us all.” We are privileged to have such a talented individual as a member of our leadership team! Congrats, Jodi!